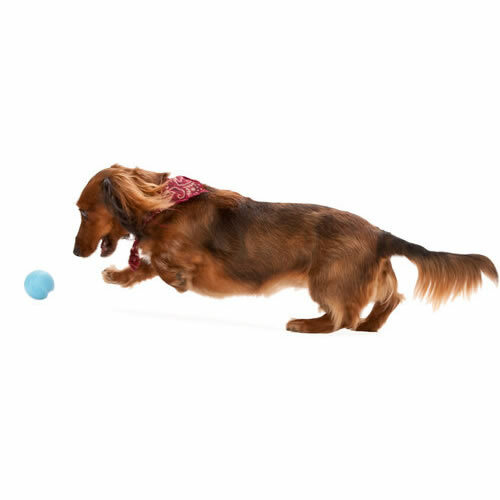 Jive is West Paw Design's most durable dog ball yet. 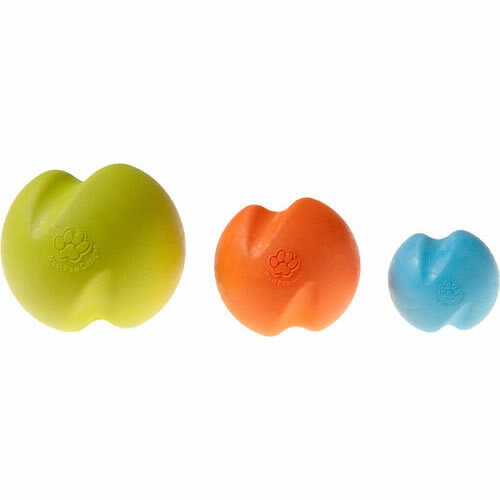 It bounces, it floats, it's chewable, it's got the lot! Some dog chew toys can be hard on dog's teeth, and even though Jive is guaranteed strong, it is gentle on your dog's mouth. The large size dog ball is 8cm wide, which is just a little smaller than the average softball. The small ball is 6.5cm inches wide, which is similar to the size of a standard tennis ball. The mini size for small dog breeds that is only 5cm wide, which is almost the size of a golf ball. 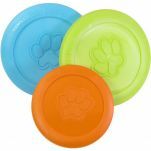 Made from West Paw Design' Zogoflex material, the Jive ball is recyclable, dishwasher safe, and made in the USA. 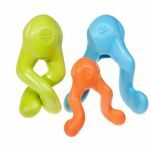 Read 17 customer reviews of West Paw Design Jive. The average customer rating is 4.9. This would have to be one of the most fun and stimulating balls ever owned by my dog! We have hours of fun together and even in the water as it floats! Staffy proof. Take it to the park every day and fits into our thrower so I don’t get slobbery hands. This is the best ball we have ever found for our dog who likes to destroy balls. She loves chasing it and throwing the ball up into the air. My spoodle is obsessed with balls and this one is perfect as nice and small for her smaller mouth. Non-destructible/chewable and floats in the ocean. Bright colour to see in the sand or grass and bounces high. She loves it.Also a bit heavier so I can throw it further. Ned with his West Paw Jive ball which he absolutely loves. He loves to 'mouth' it but isn't interested in trying to chew it and he makes a great game of trying to get his humans to take it from him. 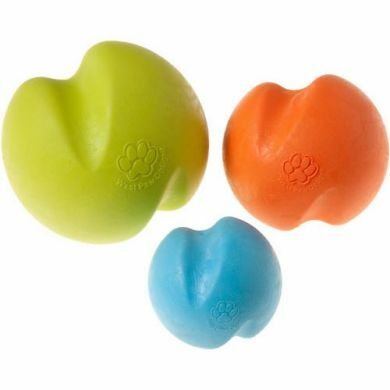 The West Paw Design Jive is a big hit with our 1 year old staffy after a bit of a flop with the Staffy Ball. Our boy loves to 'mouth' the West Paw but hasn't attempted to chew it. This ball, (along with the Turnup Ball which we've had for a few months now) are his favourites and the only toys to have lasted the distance. Our boy will often put the ball in his mouth to initiate a game and we have a lot of fun trying to steal it from him. Can definitely recommend this one for all the Jawzilla's out there. This ball is very ery popular at our house. we've had it a week, and it is still in one piece! That's a record.